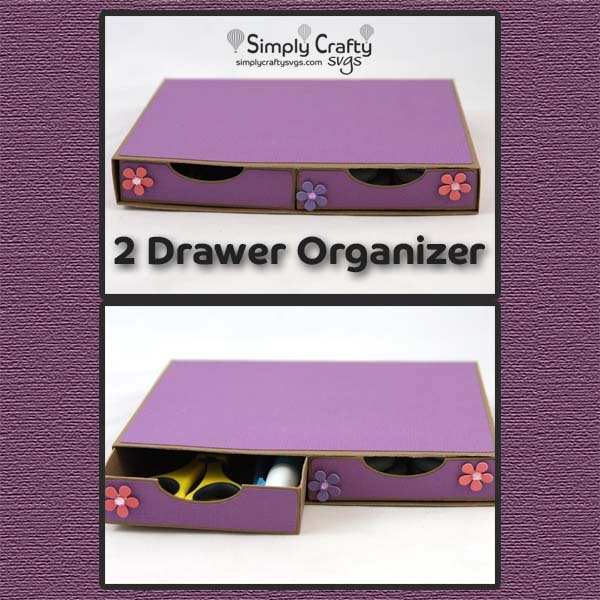 Desktop organizer with 2 drawers. 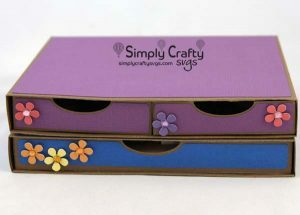 Get this 2 Drawer Organizer SVG File to make your own scrapbooking storage. 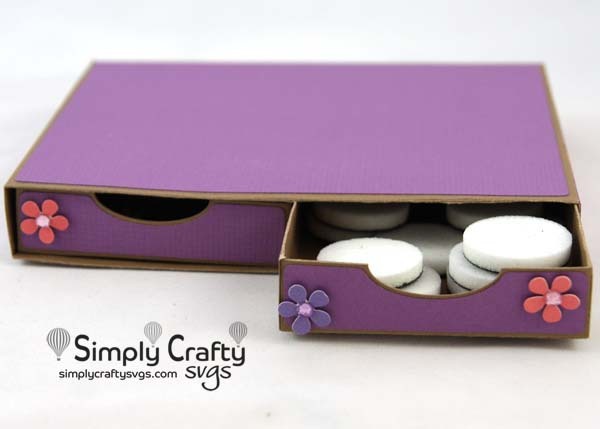 Store some of your smaller items, such as brads or foam ink pads, in this 2-drawer storage solution. Create multiples and stack. 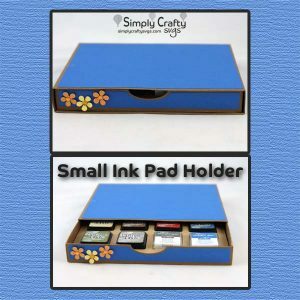 Use with the 1-drawer Small Ink Pad Holder. When drawers are inserted completely, they also serve as a support to help hold organizers stacked on top. Finished size is 7.3″ x 5.65″ x 1″ high. It is recommended to use a heavy cardstock or kraft board for the assembly of this design, such as 80 lb weight or above. Holder base requires (3) 12″ x 12″ cardstock sheets to cut out. Letter-size or larger can be used for the drawers. Smaller paper can be used for panels. Shown with Small Ink Pad SVG File (blue).